Donald Trump has argued for months about what he views as Kirstjen Nielsen's lacklustre performance on immigration enforcement and was believed to be looking for a replacement who will implement his policy ideas with more alacrity. 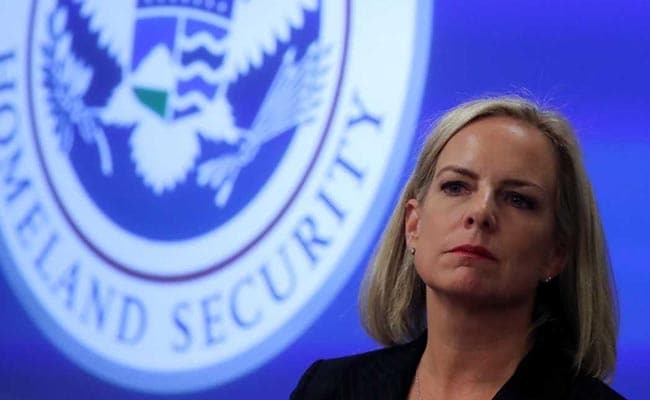 US President Donald Trump told advisers that he has decided to remove Homeland Security Secretary Kirstjen Nielsen and her departure from the administration is likely to occur in the coming weeks, according to White House officials. The President has argued for months about what he views as Nielsen's lacklustre performance on immigration enforcement and was believed to be looking for a replacement who will implement his policy ideas with more alacrity. Trump has also berated her during Cabinet meetings, belittled her to other White House staff and tagged her months ago as a "Bushie", a reference to her previous service under former President George W. Bush and meant to cast suspicion on her loyalty, the daily said. "The Secretary is honoured to lead the men and women of the DHS and is committed to implementing the President's security-focused agenda to protect Americans from all threats and will continue to do so," spokesman Tyler Q Houlton said in a statement. Nielsen's departure would leave a leadership void at the government's third-largest agency, which has 240,000 employees and a $60 billion budget, The Post said.